According to the San Miguel County Sheriff’s Office, the driver, identified as Jeremy Knight, was cited with driving under the influence of alcohol. 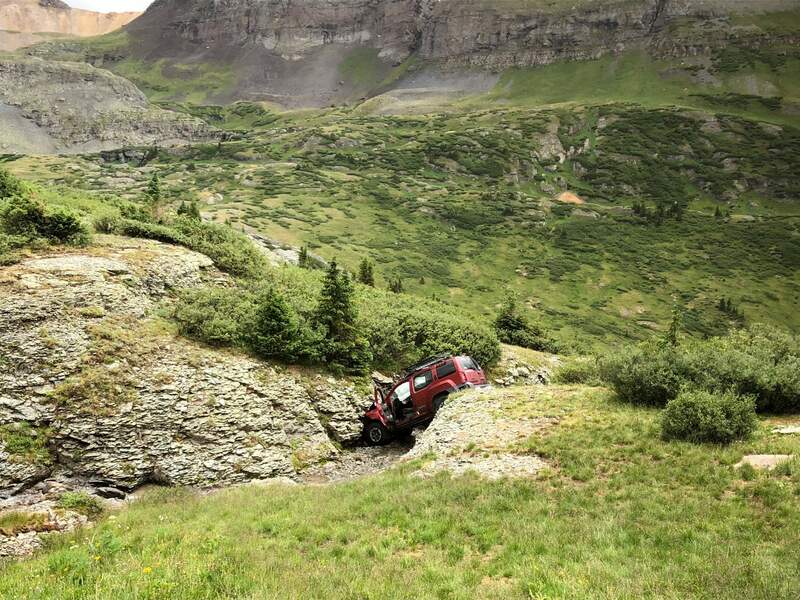 Susan Lilly, a spokeswoman for the San Miguel County Sheriff’s Office, said witnesses told deputies that on Sunday afternoon Knight was recklessly driving a red Nissan Xterra over Black Bear Pass moments before the crash. 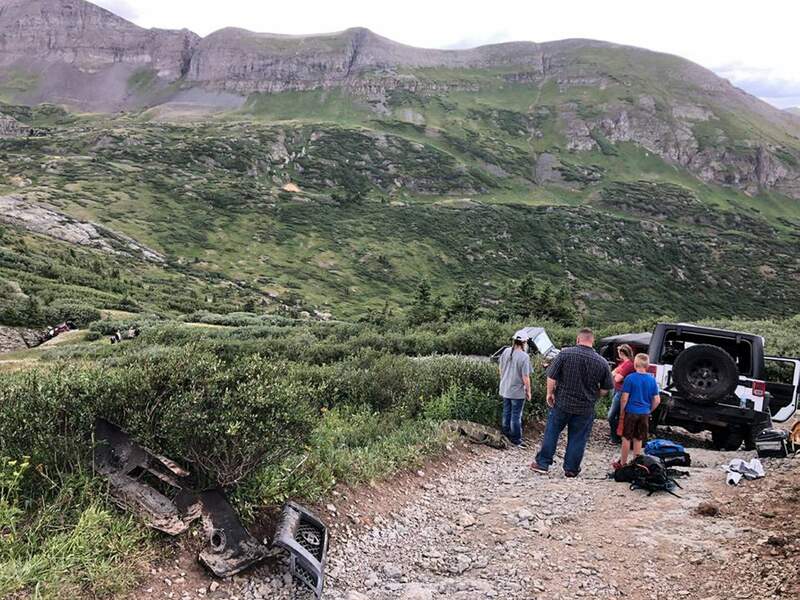 Knight rear-ended the Jeep, lost his front bumper, and then continued driving off road another 40 yards or so until the vehicle hit boulders, causing the airbags to go off, witnesses told the Sheriff’s Office. “It was just a very scary scene,” Lilly said. Lilly said the Sheriff’s Office is investigating the crash to see if Knight’s vehicle had experienced a mechanical failure. Witnesses said they saw Knight honking the horn before the crash. “Whether the alcohol or mechanical failure caused it, or both, we don’t know,” Lilly said.